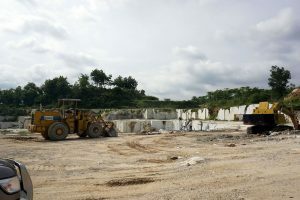 Gramer specializes in the mining, processing and sales of marble products with over 30 years of experience. 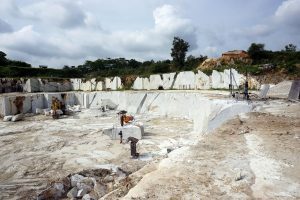 Established in 1979, in Bandar Lampung, Indonesia, we are the only supplier of premium White Crystalline marble. We continue to expand to other provinces in Indonesia to supply Rosso Chocolate, Mega Red, Cream Marble and Imperial Grey. At Gramer, we pride ourselves in preserving the beauty of nature and responsibly quarrying marble. Our marble is a masterpiece that is carefully processed to specifically capture its eternal beauty. It is a gift from nature that we aim to deliver to your home, office, commercial building and landscape. We provide various types of tiles, slabs, mosaic, as well as custom-made design and specifications. The strength of our product lays on its consistency in color, texture and size, as well as on its durability and resistance to impacts. This masterpiece that we created have outstanding characteristics, classic beauty and contemporary coloring results. The combination of our tiles, slabs and mosaics with other elements will give an everlasting and natural elegance to your design. Our advance technology produces only the finest quality stone that is available in various specifications and suitable to any interior or exterior finish. Our masterpiece is ideal for flooring, interior wall cladding, stairs, raised flooring, kitchen and vanity tops. Our variety of coloring and stylish veining combined with the strength and personality of the stone can accomplish your dream design and capture the eternal beauty in your space.